As mobile devices have fast become the preferred way of accessing the Internet, enterprise data, and personalised information, now, more than ever, enterprise employees are reliant on their devices to efficiently complete work. In fact, according to a study conducted by Samsung in conjunction with Oxford Economics earlier this year, 80% of IT executives and senior managers believe employees cannot do their jobs effectively without a mobile phone. As such, better understanding true enterprise mobility TCO (total cost of ownership) will help you get on the front foot to optimise the costs while you provide employees with a truly positive user experience. Of course, supporting flexible workplaces does not come without challenges - managing the plethora of devices, information, and applications in your organisation. This includes managing workspaces, mobile devices, mobile applications, and mobile content. Plus, there’s the not insignificant task of securing your IT infrastructure to support an increasingly mobile workforce, and the cost and complexity that goes with it. This complexity is only going to increase as we move into the next decade. In pursuit of increased productivity, enterprises will increasingly adopt wearables and use IoT devices. A single tap on a mobile device or a simple voice command will help do many tasks that are still performed manually today. Yet, according to the same Samsung/Oxford Economic report, enterprises tend to underestimate the true cost of enterprise mobility. Organisations often fail to account for management overheads including IT administrators, third-party service providers, and software licenses. Even as BYOD becomes a mainstay of enterprise mobility giving organisations the ability to reduce some hardware expenses, there are other costs that you need to closely manage. 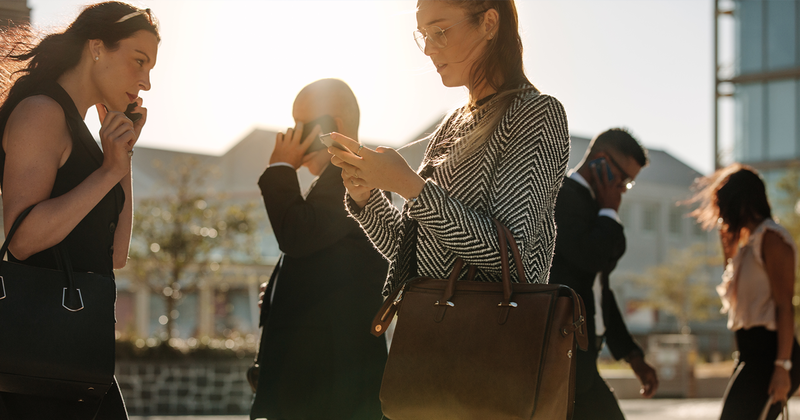 In a survey undertaken by Wandera of 500 US IT decision makers with material control over their organisation’s mobility, enterprises in the US are spending $1,840 per employee mobile device per year. The study found the TCO is 116% more than commonly expected. The productivity loss due to system failures or lost devices. In terms of mobile security, Wandera estimates that across the globe, companies spend twice as much remedying a security breach than on mobile security software. The good news for enterprises is that you are able to control and therefore reduce 58% of enterprise mobility TCO. As much as $479 can be saved per device annually through adopting best practices in enterprise mobility management. Of course, the real return on investing in enterprise mobility is the value mobile devices can have for your business. Only by providing employees with a positive user experience, will your organisation be able to gain the true return on its investment. As we mentioned in our previous post on unified endpoint management, creating better mobile experiences for employees drives up employee productivity, ultimately leading to better customer outcomes. To get help on qualitative and quantitative measurements to calculate enterprise mobility TCO in your organisation please get in touch with the team at imei. There are multiple ways we can help you optimise mobile device management which can have a significant bearing on TCO. To learn more about enterprise mobility TCO and how imei can help your organisation optimise mobile experiences for employees, please get in touch.